A disgraced alcoholic lawyer takes up a case of criminal negligence against some respected doctors at a hospital owned by the powerful Boston Archdiocese. 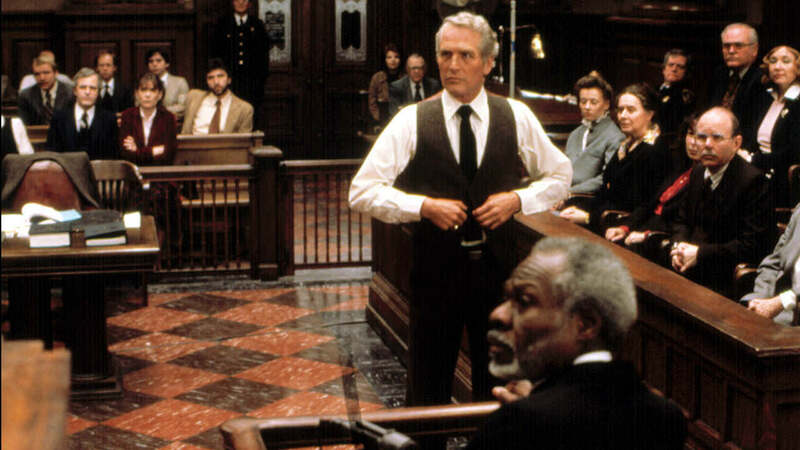 Courtroom dramas are nothing new. Many have middling success and are forgotten over time, but a handful of the films rise to the top of the pack as the best of the best. "The Verdict" is an underappreciated winner directed by the legendary Sidney Lumet, who helmed such Oscar-nominated films as "12 Angry Men," "Dog Day Afternoon," and "Network." It is based on the novel by Barry Reed with a screenplay by David Mamet, who would go on to write screenplays for movies like "Glengarry Glen Ross" and "Wag the Dog." 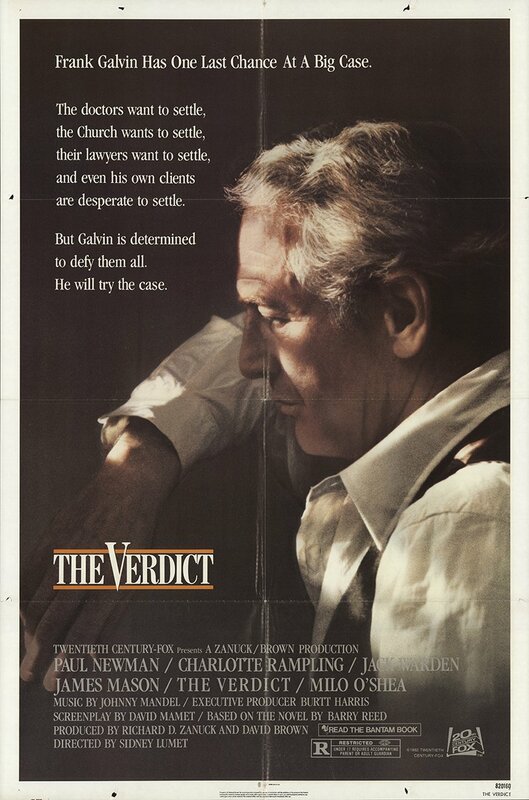 This film tells the story of a disgraced, down on his luck, alcoholic attorney named Frank Galvin (Paul Newman), who has just been handed a medical malpractice case against a hospital owned by the Boston Archdiocese. At first, Frank is just looking to settle the case for some quick cash, but he soon has a crisis of conscience and becomes more interested in getting justice for his client, a woman who was left in a vegetative state, than getting money. Against his better judgment, Frank decides to go to trial so the whole world will know about the malpractice of the church, as well as the life that has been lost at their hands that they are now attempting to sweep under the rug. 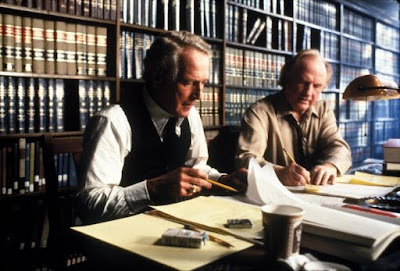 First off, you should know before watching "The Verdict" that it is not an accurate portrayal of proper courtroom procedures. Numerous lawyers do things that would be grounds for disbarment, and the judge in the case shows a clear conflict of interest that would easily be grounds for a mistrial. That being said, we don't (necessarily) watch courtroom dramas for their procedural accuracy, we watch them for the grandiose speeches that stir up strong emotions in our souls and narratives that show individual underdogs taking on prominent organizations that hold political sway. In that aspect, "The Verdict" is successful. It doesn't help that Sidney Lumet is the man behind the camera. His direction is tremendous here, and he never overdoes it. 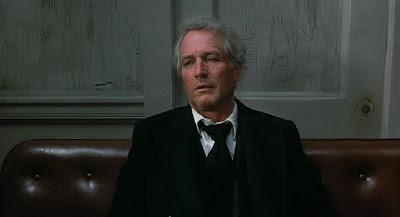 The film also succeeds because of the incredible Paul Newman, who delivers a fantastic, impassioned, layered performance as an alcoholic lawyer looking for redemption and a chance to regain the soul he feels he has lost over the years. Newman's character Frank is a flawed protagonist who must overcome seemingly insurmountable odds to expose painful truths. Though this is an underdog courtroom drama about 'the little guy' taking on the mighty Catholic Archdiocese, it is really a story about a man and his personal arc as it shows how Frank rediscovers his enthusiasm for his work. We had our emotions stirred and shocked on more than one occasion while watching "The Verdict," especially while witnessing the behind-the-scenes manipulation those in power use to abuse the law to their advantage. 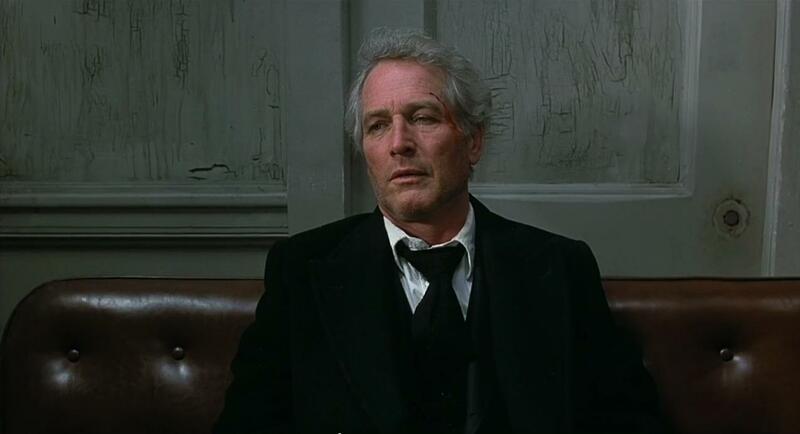 With Sidney Lumet's flawless direction, Paul Newman's powerhouse performance, and an enthralling, dramatic story, we were riveted by this tale and can see why it was nominated for five Academy Awards, including best picture. It may be more of an overlooked Oscar nominee, but we don't think it should be because it is a must watch in our opinion.